Dubai, UAE, November 28, 2018: This season, Robinsons department store brings you the most luxurious beauty collections, ideal for gifts or treats for yourself. From extensive selections of premium cosmetics to unique festive must-haves, Robinsons offers a variety of products from the most sought-after brands. Find your signature scent from fragrant perfumes and home scents from brands such as Boucheron, Carolina Herrera, Cartier, Rance, Tola and Zenology. Looking for the perfect item for the make-up lover if your life? 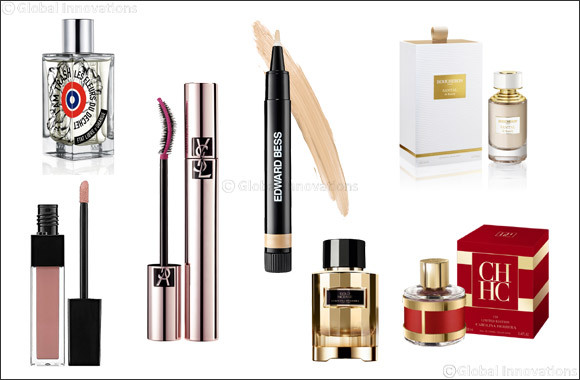 Browse the vast selection from Edwards Bess, Lancôme and YSL. Experience exclusive services this season at Robinsons, bringing an extra touch of cheer to the season. Add an extra special touch to gifts with Robinsons personal perfume engraving services. Indulge in beauty services during Robinsons Happy Hours, available from beauty experts every weekday evening between 5:00 pm and 8:00 pm. This complimentary beauty service ranges from lip care touch-ups, to eye care and make-up tips, as well as mini hand massages, nail polish touch-ups and eyebrow shaping and filling. Unwrap your festive beauty looks this season! Robinsons will leave you feeling pampered and spoilt for choice.